Okay - I realize I'm a day late. However, I was super swamped yesterday and could only get one post in and the Leibster Award won.....literally! ;-) BUT, I'm back today with my Website Wednesday post. Today's website I want to discuss is Mangahigh. 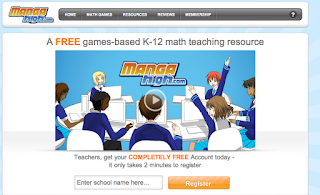 If you haven't had a chance to check out this FREE math game website, you need to get on it! I stumbled across this site last year and I can honestly say it is one of my students' favorite websites. 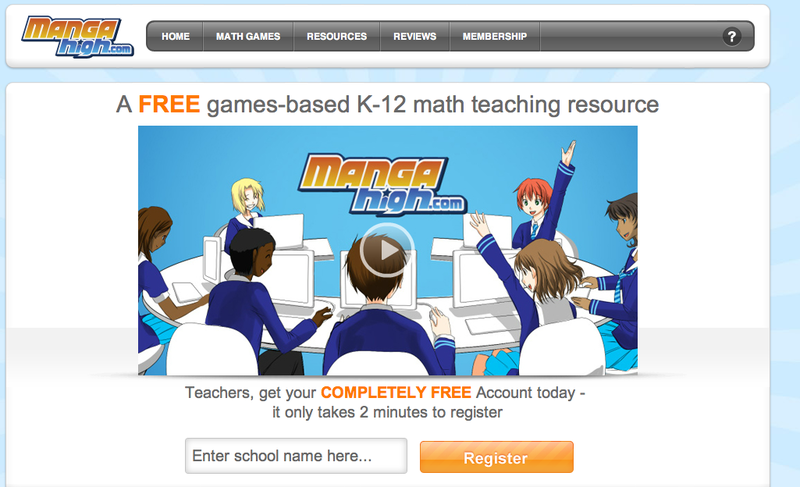 When we do math stations and I list Mangahigh as one of the activities that needs to be done, the kids are always excited. And hey - what's not to love about students being excited about math? Nothing...that's what! 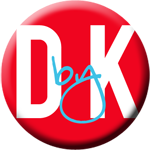 This fabulous resource allows you to create a personalized account for your school. You can have just one teacher use it or multiple teachers can create class lists (which the more students learning and playing the better!). Each student gets their own personalized login and password (and the site allows you to print out easy to handout login information slips). Once you have your class list in, students can begin to search through math games and play. But even better, you can begin to assign game challenges to either individual students or to the entire class. Students have an opportunity to earn medals (bronze, silver and gold) depending on their score. Another fabulous addition to this already awesome site are the Fai-Tos. At some point your school may (and probably will) be chosen for a Fai-To. A Fai-To is where two schools have an all out battle.....math battle that is. When students login in and their school is up for a possible Fai-To, they actually vote on which school out of two that they want to challenge. Then, through the games they play, they earn points and win rounds. The winner receives the virtual Fai-To trophy. These school vs school challenges are so motivating to the students! They never want another school to show them up. When it comes to setting challenges, you have a variety of a games to choose from for your class. One thing I have noticed is that the creators of Mangahigh work very hard at aligning their games with core standards and making it easy to search for a particular skill set you want your students to work on. With a couple quick clicks of a button, you can easily find a game or games that suit your students' needs. You have the ability to set multiple challenges for your students. There are so many other neat components of this gaming website, that it really is impossible for me to list them all in this brief post. Along with having awesome games , they really also make it easy for a teacher to see individual student results. They also are super about responding back to individual questions and about organizing the site to make it really easy to use. You definitely need to check it out today and get your class mathematically challenged!